Hey, we want in on that! 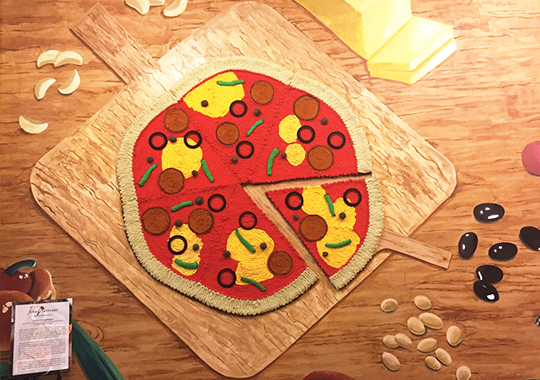 (SPOT.ph) Who's up for some food artistry? 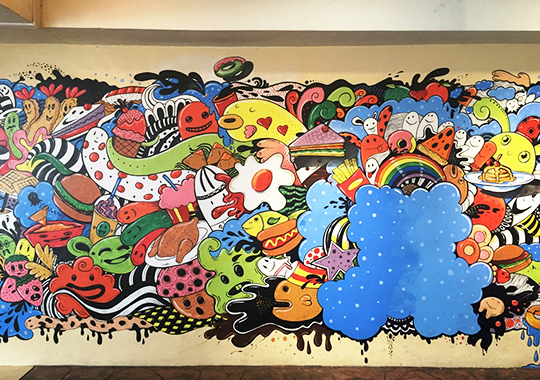 If you happen to be into both food and art, we suggest you check out the dining scene at Eastwood City, where an artistic gastronomic celebration is currently taking place. 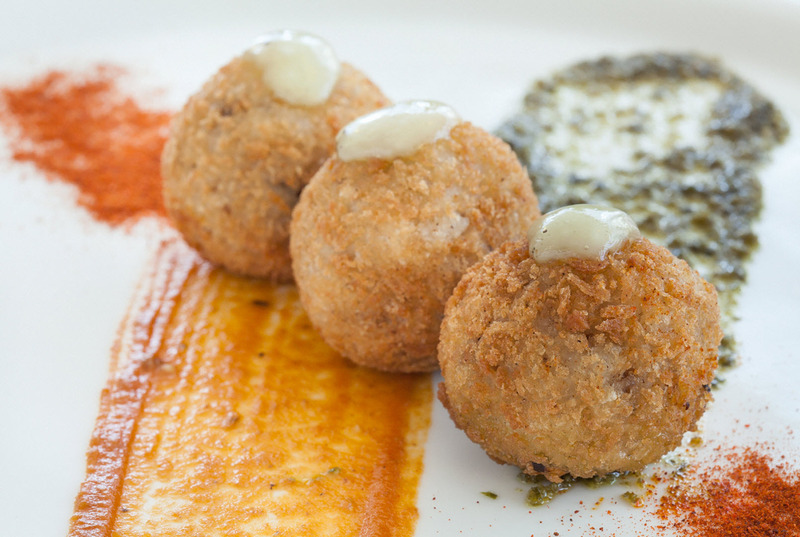 These fried mushroom risotto balls set against a creamy and flavorful tomato puree and pesto puree are perfect for setting the mood for a mouthwatering feast. 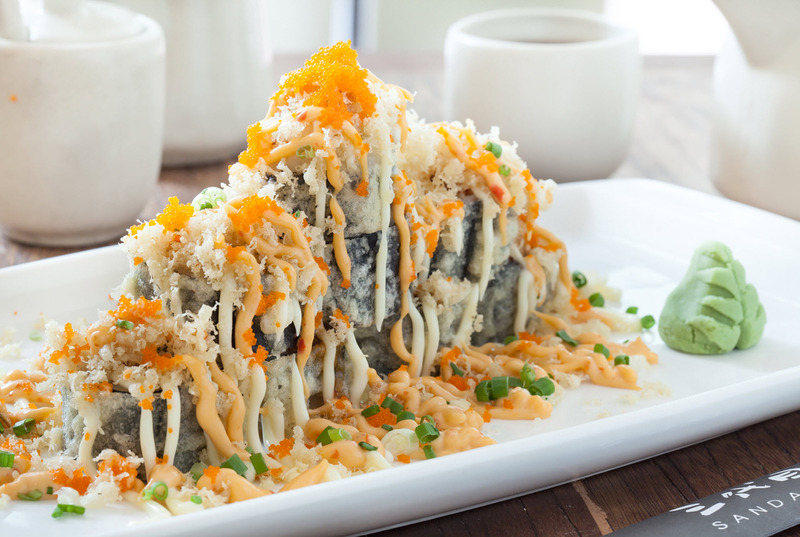 This delectable and explosive heap of deep-fried spam maki topped with cream cheese, capsicum topped ebiko, spring onions, tencuts, and special sauce will make your taste buds dance in delight. 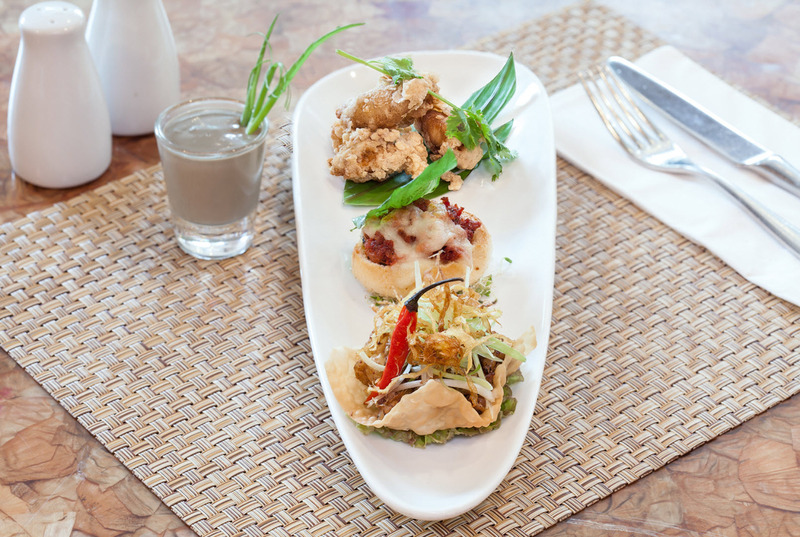 It’s three of the most-loved Filipino dishes in one glamorous dish: fried adobong calamares in negra aioli dip, Bacolod-style chicken sisig inasal, and Filipino chorizo Bruschetta, a toasted mini pandesal with ground Vigan longganisa. 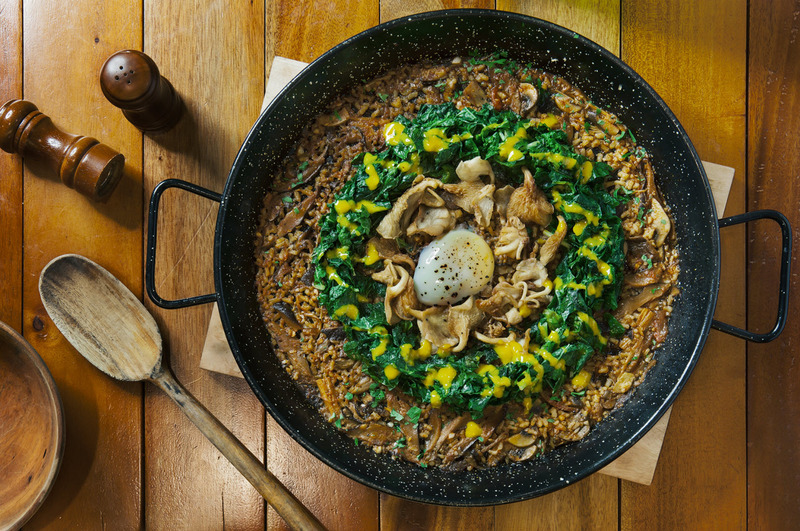 A healthier version of the beloved Paella, this dish is dominated by a serving of Ifugao heirloom Tinawon red rice and intricately arranged fried oyster mushroom, quail egg, saffron aioli, and paprika oil. 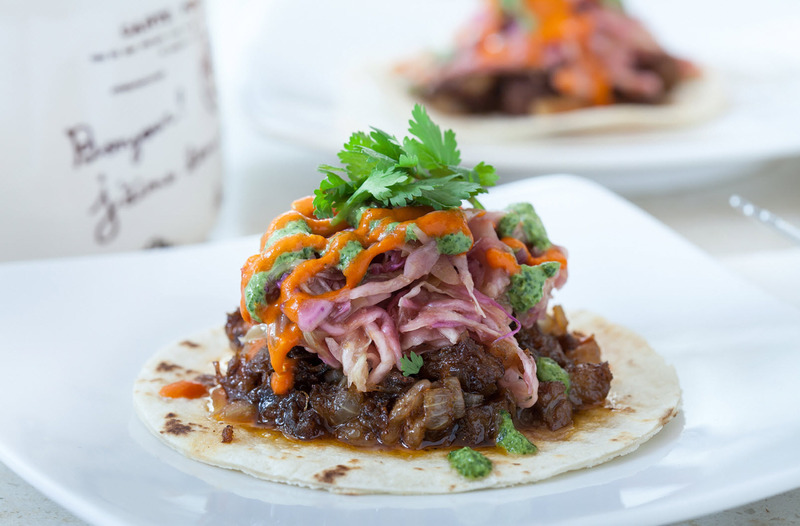 This fusion dish explodes with delectable flavors, thanks to its colorful combination of sautéed beef brisket chunks, pickled slaw, cilantro and pepper coulis. Yes, this lovely, pink-colored gelato tastes as good as it looks. 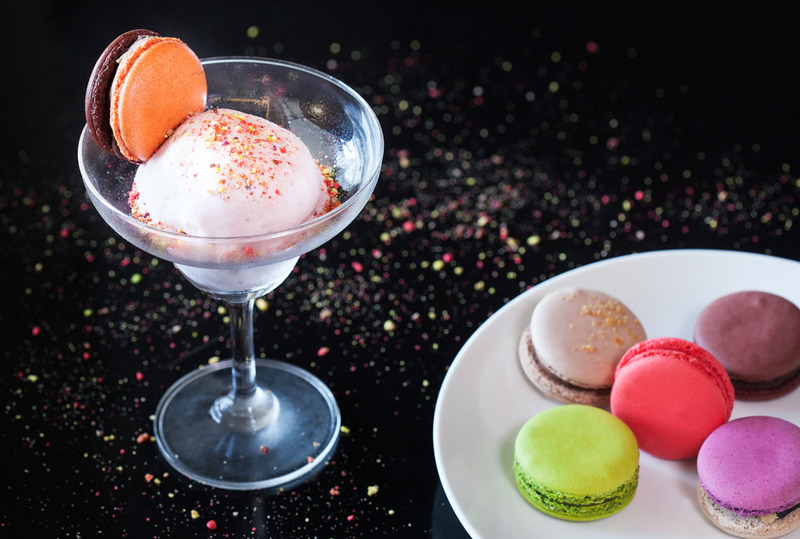 It is made even more decadent by the passion fruit Macaron sitting atop and a drizzle of melted chocolate. 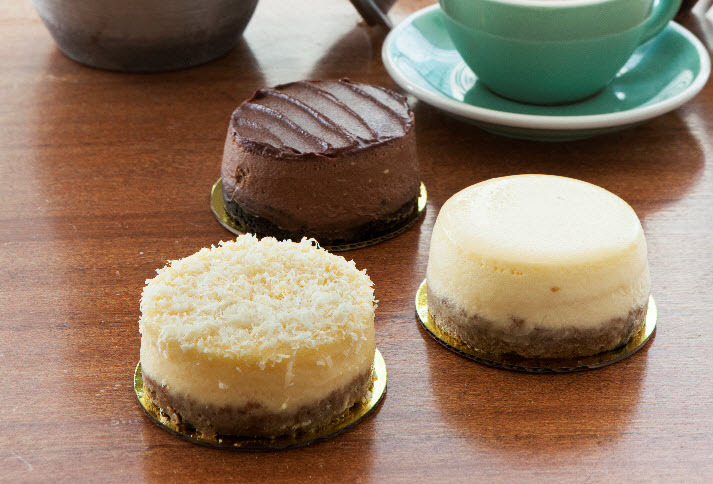 Good luck trying to resist these sweet, soft and creamy little wonders, especially when paired with the restaurant’s signature Tsokolate de Batirol. 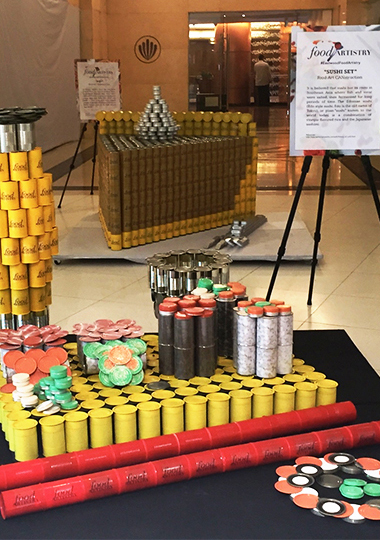 And the good news is there's a whole lot more where that came from! 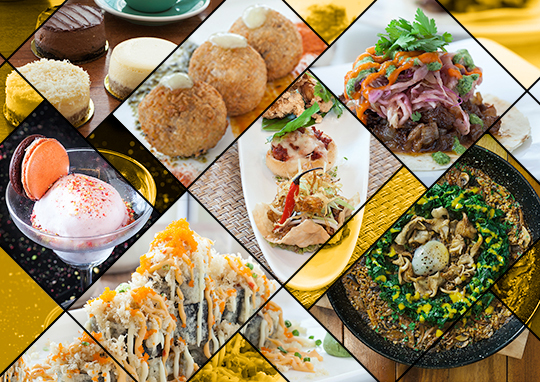 For more information on Food Artistry at Eastwood City, call the Megaworld Lifestyle Malls Concierge at 709-9888, 709-0888 or 0917-8380111.